So I finally managed to talk to Mr Vincent Pao, the General Manager of Concepts Computer regarding the recycling issue that I had, resulting in my “Concepts Computer Lying to Us?” post. In my talk with him about a few things but most important to me at the this time was the recycling issue. He stated that people from the recycling place came and picked up the equipment and that he did not have the contact number of the place or of the person in charge. 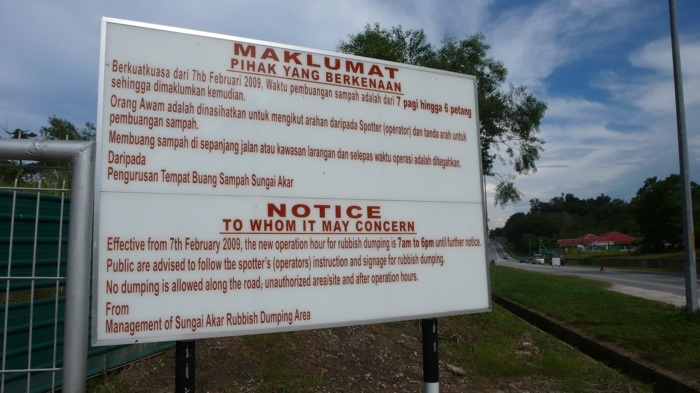 He mentioned the place was at “Sungai Akar” which I believed to be the Sungai Akar rubbish dump. He said there is a little building/section where they recycle the equipment. Today I went to the rubbish dump to try and find this recycling place that was supposed to be there. After some walking around and talking to the workers there, I was directed to “Ah Huat” who told me that they did pick up the equipment from Concepts but they are not recycling it. They are merely taking the equipment apart and dumping them in the dump. 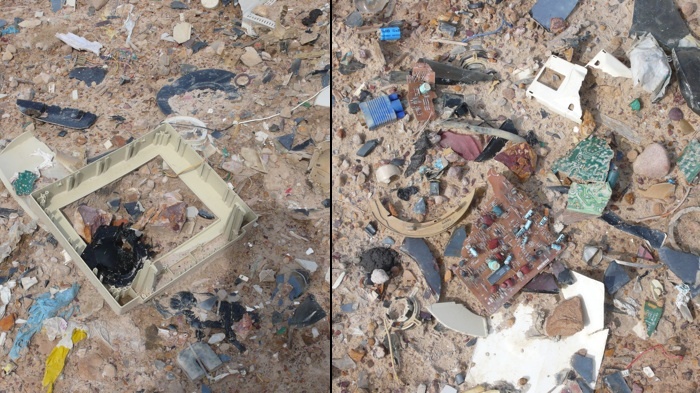 As shown below you can see the remains of some of the monitors and some PCB (printed circuit board) remains. i think it depends. 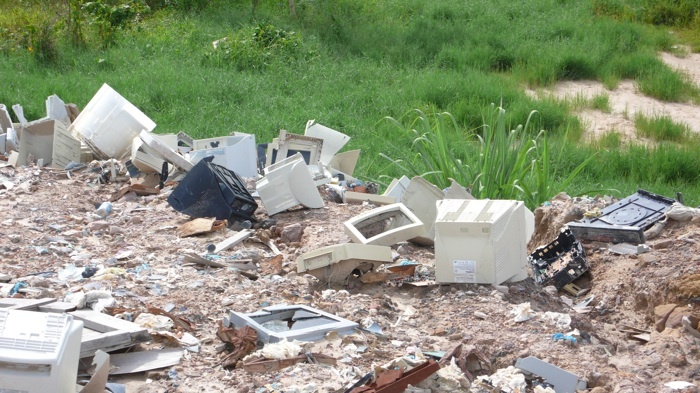 if they dispose of the lead in the CRT properly then i think its better than simply throwing it out. although it could have been put through better use like sending them to countries in Africa. though i doubt people here would bother. I agree that if they dispose of the lead properly it would be good. But from the posters it seems like they are recycling and from talking to the boss he said they were recycling. But recycling is not going on. I want them to be transparent on what exactly is going on with the dumped equipment.